Kara Jarvis "MY FAMILY LIKES TO PACK A PICNIC, DROP OUR BOAT IN ON THE SOUTH END OF LAKE SKEGEMOG." Ten play dates that will get you acquainted with this breathtaking county. "TORCH LAKE IS HOME. WHERE THE MORNING LAKE REFLECTION REFRESHES YOUR SOUL." Cruise the Breezeway through East Jordan, Ellsworth and Atwood. Visit Jordan River National Fish Hatchery, the birthplace of 3 million trout destined for the Great Lakes. Hike seven miles of trails that wind around wetlands in the 1400-acre Grass River Natural Area. Put your car or bike on the Ironton Ferry for the five-minute float across Lake Charlevoix’s Ironton narrows. Stop by John Cross Fisheries for fresh and smoked fish, whitefish sausage and smoked fish salad. Take a day hike or an 18-mile roundtrip overnight—either way the Jordan Valley Pathway is an adventure. Spice up your life at Alden Mill House with chef-inspired blends. Bike the Little Traverse Wheelway for a little way or all the way. Feel like royalty at Castle Farms, a 1918 landmark stone palace where you can play lawn chess and wander gardens. Soak up summertime at the Fountain of Youth, an interactive heated fountain in Charlevoix’s downtown East Park. Share a sunset with us. PONTOON & WAVERUNNER RENTALS On Torch Lake, Michigan docksidetorchlake.com/rentals WE PROVIDE TOP OF THE LINE, “NEW” 2018-2019 “MADE IN MICHIGAN”, AVALON BRAND TRI-TOONS Featuring “MERCURY“ quiet running, 4-stroke motors (225 hp to 250 hp) providing the power needed to enjoy your day on the water. EVENTS From big-town festivals to small-town shindigs, there's always something happening in the Charlevoix and Chain of Lakes area. The sparkling sand and water of Wilcox-Palmer-Shah Nature Preserve are hiding in plain view three miles north of Elk Rapids on North Bayshore Road. Spread a blanket at Barnes Park, a big sandy Lake Michigan beach in Eastport with wooded campsites, play area and a network of hiking and biking trails. Dip into Torch Lake at Torch Lake Township Day Park with its pavilion, picnic tables, restrooms, boat launch and swimming area. Public Dock Road, Kewadin. Mt. McSauba, a pristine Lake Michigan beach is waiting for your towel and beach day frame-of-mind. 210 State Street, Charlevoix. Spend the day at Ferry Beach on Lake Charlevoix with its sandy beach, playground, pavilions, grills, concession, volleyball and basketball courts, restrooms and boat launch. M66 to Stover Road and head east. 224 Ferry Avenue, Charlevoix. SIP LIKE A LOCAL The gorgeous Torch Lake Tour includes stops at Northern Michigan breweries, cideries, distilleries, meaderies, and wineries that surround beautiful Torch Lake. Sip craft cocktails and local brews while you take in breathtaking views. The Torch Lake Tour brings together craftsmen and women who strive to create high-quality, local products and help you learn about where the ingredients are sourced. The tour includes nine stops. Groups can book the Brew Bus, or Traverse City Wine and Beer Tours. You can also go on a self-guided adventure (designated driver always recommended). Start your journey at Royal Farms Winery. Owner Sara McGuire has created a cherry-filled oasis complete with a wine tasting room and market with homemade baked goods. The tasting room showcases beautiful views of the farm and nearby flower garden. Next up is Mammoth Distilling in Central Lake. The tasting room has a hip, urban vibe and concoctions like “The Dude,” a vodka drink with cream, coffee liqueur and Coca-Cola. In nearby Bellaire, grab a bite with your beer at the well-loved Short’s Brewing Company, housed in a former hardware store. When you’re finished sip across the street at the equally tasty Bee Well Meadery where owner Jeremy VanSice, a former head brewer at Short’s Brewing, is creating delectable meads and ciders. Bee Well gives patrons a true taste of Northern Michigan. Honey from local bees and apples from local orchards make Bee Well’s meads and ciders truly products of their surroundings. Not far from downtown Bellaire sits Torch Lake Cellars. The Sheneman family, who has owned the farm for several decades, puts care into every product. Wines are named after local attractions that encircle the 19-mile body of freshwater. Try the Deep Water Point Pinot Grigio or Kalchik Cherry Wine, made from, you guessed it, locally grown cherries. Continuing south around Torch Lake, stop in the quaint town of Alden and visit Vista Ridge Vineyards. Grab a glass of vino and sit out on the patio to catch a breeze from the lake. Hit up Elk Rapids next, where you’ll encounter the science and art of distillation at Ethanology. Owners Nick and Geri Lefebre are believers of natural and sustainable practices. Ethanology sources ingredients from local farmers to provide flavor profiles that encompass Torch Lake and the offerings of the area. In the industrial chic distillery and tasting room, enjoy live music, cocktails resembling works of art and some of the finest spirits imaginable. Not far from Ethanology is Townline Ciderworks. Townline sits on an expansive property giving you wide open views and picturesque scenery. Ciders range from dry to sweet and everything in between. Don’t miss WaterFire Vineyard on the west side of Torch Lake in Kewadin. Chantal Lefebvre, the resident proprietress, grower and self-proclaimed wino, takes immense care of her burgeoning vineyard. The property’s name pays homage to Torch Lake—water referring to the lake and fire referring to torch. In WaterFire’s whimsical tasting room, you feel like you are lounging at the home of a close friend. Finley, Seymour and Wren, the unofficial four-legged greeting crew and pest control pups, add to the relaxed atmosphere. If you have a kitchen, get in here! Kitchen & Pantry Accessories Decor, Gifts, Gift Baskets Famous custom blended seasonings of the highest quality pepper and spices. The fabulously charming downtown is brimming with galleries, boutiques and great restaurants. East Park is a hub of outdoor concerts, festivals and farmers markets. With water on two sides, stunning beaches and a firstclass marina, this city is for water worshippers. This idyllic town where Hanley Lake meets Intermediate Lake under the bridge retains its Up North vibe. With a bounty of Lake Charlevoix and Jordan River shoreline, this lovely city combines outdoors sports with fun downtown shops and eateries. The grand old Antrim County Courthouse presides over this town that straddles the banks of Intermediate River and sits between Lake Bellaire and Intermediate Lake—so yes, think fabulous watersports. Find a lively shopping district and, of course, beloved Short’s Brewing Company. Adorable little Alden on Torch Lake packs boutiques, cafes, a specialty spice store and an old-fashioned general store. Find a sandy-bottomed swimming area on Torch Lake next to the downtown boat launch. Tucked on the northernmost point of the Chain of Lakes, this charmer of a village on Ellsworth Lake has a public park with a fishing pier, labyrinth garden and Michigan’s largest public archery range. Find your place on a golden-sand Lake Michigan beach, check out the boats in the 270-slip marina, browse the boutiques and galleries downtown then fill up at one of this town’s awesome eateries. This four-season resort (skiing in the winter) boasts four legendary golf courses, a bounty of lodging, great restaurants and much more. Two state parks—Young on Lake Charlevoix and Fisherman’s Island on Lake Michigan—offer a combined 300+ wooded sites to pitch your tent or park your RV. Looking to move from the hunting-and-gathering life to the stone age? Check out the gracious and iconic Earl Young-designed stone hotels in Charlevoix. This is also a region of Victorian-style inns, rustic lodges and mom ’n’ pop resorts. And Shanty Creek’s vast array of accommodations always have you covered. Gourmet Salt Water Taffy - Old Fashioned Candies - Sugar Free Candy - & More! CHECK OUT OUR WALL OF JELLY BELLYS! ....The The W ater is easy to find. TheW ateris iseasy easyto tofind. find. ater ..The The ater is easy to find. PUT THE #1 REALTOR W ater is easy The W ater isSELLING easy to to find. find. IN THE 5 COUNTY and takes experience... andtakes takesexperience... experience... and and takes experience... and takes GRAND TRAVERSE andREGION takes experience... experience... see Don. seeDon. Don. see see Don. IN 2018 TO WORK FOR YOU. * see see Don. Don. PO Box 36, 614 US 31 S.,Elk Rapids, MI 49629 36, 614 US 31 S.,Elk 49629 PO Box 36, 614 US 31 Rapids, MI 49629 POPO BoxBox 36,Each 614 US 31 S.,Elk S.,Elk Rapids, MI MI 49629 office independently owned andRapids, operated. PO BoxEach 36,Each 614 US 31 S.,Elk Rapids, MI 49629 independently and operated. independently owned and Eachoffice officeoffice independently ownedowned andoperated. operated. Each office independently owned and operated. 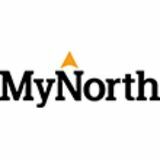 PO Box 36, 614 US 3131 S.,Elk Rapids, MIMI49629 PO Box 36, 614 US S.,Elk Rapids, 49629 Each office independently owned andand operated. Each office independently owned operated. When in Charlevoix, seek out the storybook buildings scattered over several blocks off the downtown. Local legend, Earl Young, built 26 whimsical stone residences in Charlevoix from 1919 into the 1970s known as the Mushroom Houses, the Gnome Homes or the Hobbit Houses. Tour the homes in the comfort of an open-sided GEM Car with Mushroom House Tours. The ceilings in Young’s homes are notoriously low—makes sense, ’cuz he was of short stature. While he attended University of Michigan’s architecture school for a short period, Young dropped out before graduation, opting instead to move back to his hometown and do his own thing. Young used all local stone for his structures, handpicking each one. If he found one he loved but wasn’t ready to use it, he’d bury it or sink it in Lake Michigan until he had a place for it. Beyond creative stonemasonry, Young’s designs are marked by wide wavy eaves, cedar shake roofs, chimneys that look like they are melting and rafter tails. The Chain of Lakes supplies 60 percent of Grand Traverse Bay’s surface water. The biggest, baddest bluest of the Chain is Torch Lake that spreads its beauty 19 miles from Rapid City to Eastport. A dam in the city of Bellaire separates the Lower and Upper Chain of Lakes. The Lower Chain is made up of the bigger lakes— Elk, Torch and Bellaire. There are plenty of marinas to rent boats for a day of watersports. Oh yes, your pooch will love Charlevoix as much you do! Townline Ciderworks welcomes canines at their outdoor seating area and in the orchard off-season, or grab one of the designated dog-friendly outdoor tables at the Bridge Street Tap Room, Smoke and Water, Cafe Esperance or East Park Tavern, and let Fido live the dream. Fly through the forest canopy on over 7,000 feet of zip lines, cross five suspended sky bridges, and enjoy the amazing views of Lake Charlevoix from our six tree-top platforms. Climb the 46 wrought iron steps of the lonesome and lovely Beaver Island Head Light tower. Built in 1858, the lighthouse sits 20 miles from the town hub in St. James—a trek that is well worth the adventure. Check out the circa 1870 Beaver Island Harbor Light on Paradise Bay. The lighthouse also goes by the name Whiskey Point Light, called so because of the whiskey trade that once flourished on the island. Kayak Paradise Bay if you are a novice paddler. Experienced? Take on the 42-mile Beaver Island Water Trail that circumnavigates the island. Expect open water and sleeping on the beach. Mountain or fat tire bike from horizon to horizon over Beaver’s quiet and scenic dirt roads. Pavement runs out five miles outside of the town of St. James! Happy Paddle can outfit you with bikes. Raise a beer to this island’s Irish soul (its moniker is the Great Lakes’ Emerald Isle) at the Shamrock Bar & Restaurant. 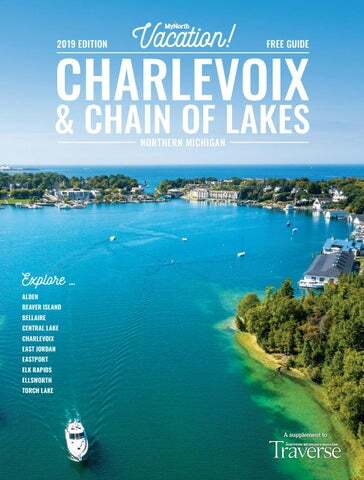 Explore... Alden, Beaver Island, Bellaire, Central Lake, Charlevoix, East Jordan, Eastport, Elk Rapids, Ellsworth, and Torch Lake.